I’m being somewhat tongue-in-cheek with this blog post’s title, because I have to admit that the more improvement I make in achieving some of my goals, the more I tend to obsess about them! It’s a win-win-lose scenario: 2 Steps Forward (i.e. logging 15,000 steps, making a great new recipe from the Trim Healthy Mama book, reading two more chapters of Green Dolphin Street) and 1 Step Back (i.e feeling guilty about spending time on myself!). I’ve been meeting my goal of 15,000 steps pretty much every day. Gotta do my part, you see, in supporting my marine recruit! Some days I run for part of the time–2 to 3 miles is as far as I’ve gotten–and on others, I go for long grassy rambles with my Golden Retriever. We must stop to Smell All the Smells. If I could make a health-related recommendation, it would be twofold: 1. Get a dog and you will take so many walks! I’m totally serious. The other is 2. Get a Fitbit or Garmin or some such snazzy pedometer. Seriously. Were it not for my dog and my snazzy pedometer, I would not be logging 15,000 steps/day. I’ve been reading a lot a lot a lot this summer, even more than playing Candy Crush or watching movies which for me is sayin’ somethin’! Like I said, win-win-lose ’cause I’m sort of bragging about my reading here. You really need those mental breaks. 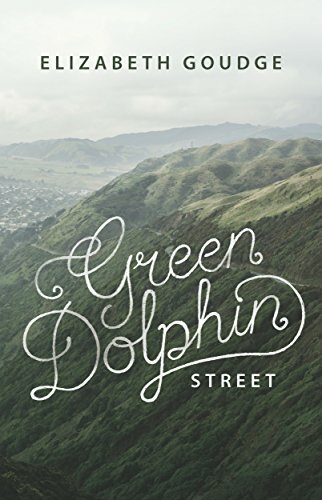 Three of my favorite reads at present are Green Dolphin Street, (the Well Read Mom summer selection), Triggers: Creating Behavior that Lasts, and Solve For Happy: Engineer Your Path to Joy. Highly highly recommend all three! I’ll try to do some reviews a bit later. We are nearing the end of the third week without our Marine recruit and have yet to receive a personal letter, although rumor has it that a certain lovely young lady friend received one. The fact that I’m emotionally capable of typing those words should speak volumes. I’ve got a post in the works about letting go when your nest starts to empty out. In short, we moms think we’re in control but we’re NOT. My daddy did an art project. Heart meltingly SWEET, am I right? It’s great by nature of the artist! Your daddy just melts my heart. I just had a discussion with a co-worker about children (even grown children) not responding, and we’re talking texts here. If we had to wait for handwritten letters…well, hell would freeze over. So, do not despair, friend. He is sending heart notes — just feel for them! I will try. My son is who he is and I love him dearly…the job of a mom is to love and support and then love and support some more! Betsy, you are such a dear. I love you (and Joseph…and Barbara…) and EVERYONE, really, who’s reading and praying and supporting my family along the way. You, too, are in our prayers! I cannot wait to read your post about letting go when your nest starts to empty out because I’m right there with you and would appreciate your insight. It’s so good to read from you (I always do, but stink at comments lately). You are doing a great job and making strides (seriously, 15,000 steps is awesome!!) in a positive direction. Praying for you as you await a letter from your son. May your heartstrings continue to reach across the miles as you stay connected as mother and son. Your dad….he just melts my heart every time. 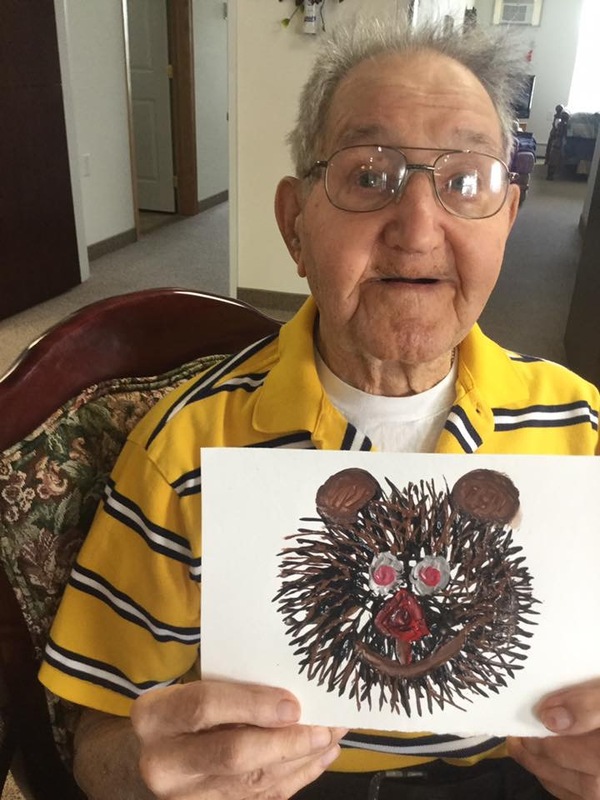 His art is fantastic and his smile made me smile this morning. 🙂 Much love and lots of prayers, dear Margaret. I always thought when a guy entered basic training they had six weeks of no communication. Guess things have changed but the Marines want total commitment and want to know that the guys aren’t longing for home. Once a guy has a girlfriend or wife he sort of wants her support especially in the beginning. I’m not sure my boyfriend/then husband ever wrote to his mother/parents through basic training either his summer camp or when he entered the service. It was me who told them what was happening and that was over 50 years ago and I don’t think things have changed. Sons are different from daughters. Mom he still loves you but is really busy with fitting in.